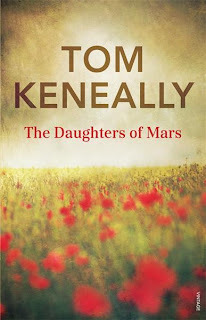 Another book for the Aussie Author Challenge: I read The Daughters of Mars by Thomas Keneally. 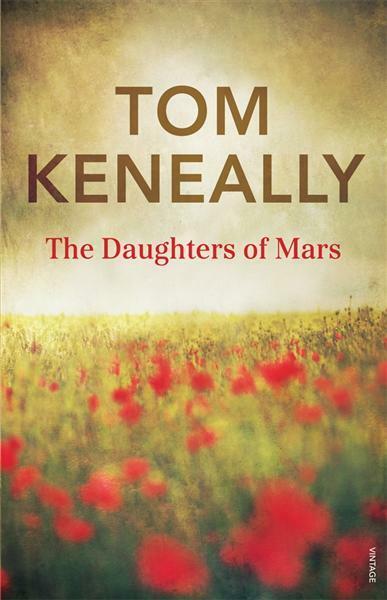 This was my first Thomas Keneally book, and I absolutely loved the language. This book was set during the first world war, and the language that he uses, not only with the dialogue, is suited to the time. Beautiful. Naomi and Sally Durance are daughters of a dairy farmer. They escape their the tedium of their lives, and the guilty of having euthanised their mother, when the call for nurses is made in the Great War. The novel has a vast scope, from Africa to Gallipoli, to France and the Eastern Front. But it remains very intimate, closely following these strong sisters caught up in the great mill of history. It is interesting that the ending is alternate - you don't really know what happens, and you can imagine their either ending is just as plausible. I really enjoyed this novel, and am now a keen Thomas Keneally fan!